Senator John McCain of Arizona has been diagnosed with brain cancer, the Mayo Clinic confirmed in a statement late Wednesday, July 19, 2017. The statement continued, "Scanning done since the procedure (a minimally invasive craniotomy with an eyebrow incision) shows that the tissue of concern was completely resected by imaging criteria. The Senator and his family are reviewing further treatment options with his Mayo Clinic care team. Treatment options may include a combination of chemotherapy and radiation. The Senator's doctors say he is recovering from his surgery 'amazingly well' and his underlying health is excellent." The website also listed a statement from the office of Sen. McCain. It read: "Senator McCain appreciates the outpouring of support he has received over the last few days. He is in good spirits as he continues to recover at home with his family in Arizona. He is grateful to the doctors and staff at Mayo Clinic for their outstanding care, and is confident that any future treatment will be effective. Further consultations with Senator McCain's Mayo Clinic care team will indicate when he will return to the United States Senate." Senator Ted Kennedy died from the same type of tumor, The New York Times reported. The tumor is described as "aggressive" with an average survival rate of about 16 months. 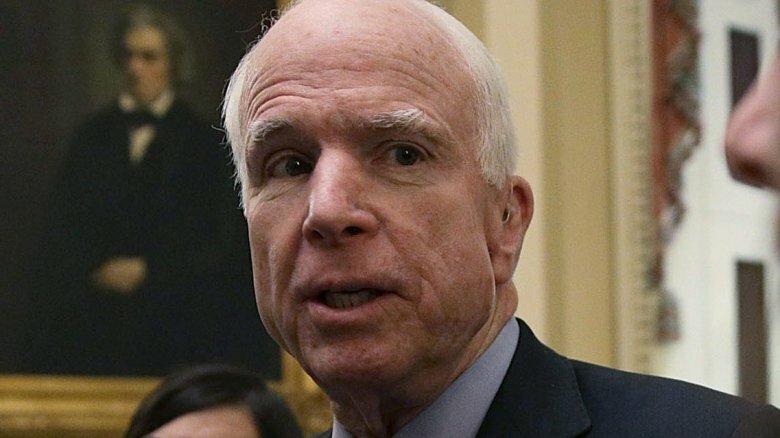 McCain's health woes come as the Republican party struggles to pass a health care bill to repeal President Barack Obama's signature Affordable Healthcare Act. It's unclear whether a vote on the latest bill will move forward. McCain, 80, has been representing the state of Arizona for over 30 years in the Senate. The Vietnam War hero also famously ran for President in 2008.